Need help with your Yahoo store product data and images? 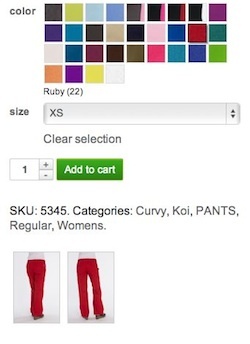 Retrieve products from your Yahoo store and edit them in easy to use templates and screens. Create new products in xocbox, and push all product data and images directly into your Yahoo store. Integrate with Yahoo’s catalog API, and edit products from a central dashboard without the need to deal with time-consuming file uploads to your Yahoo store. 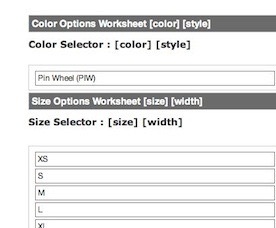 Edit custom catalog fields in Yahoo with our easy to use dropdowns to eliminate data entry and provide data consistency. By using xocbox systems with Yahoo, you can speed up or even eliminate some of the time-consuming data entry that is needed to get your products online. Add any number of size and color variations, and push product data, and media right to your Yahoo store. The xocbox cloud-based system allows several people to work on a single project at any one time, making sure you always meet delivery deadlines, and your Yahoo store is always up-to-date. Contact xocbox to learn how we can help you streamline your Yahoo merchant store business processes. xocbox offers a fully integrated pre-order module for your Yahoo store. This allows you to sell products before they are available for sale, and works well for books, electronics and apparel. Works for all types of products and ebooks.